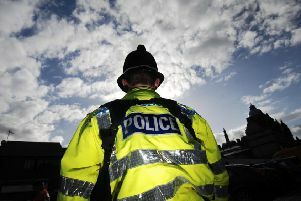 Police have named the 40-year-old woman found dead at a house in Burnley Wood yesterday. Police were called by the Ambulance Service at just before 7-15pm yesterday after the body of 40-year-old Leanne Unsworth was found inside an address in Marlborough Street. It is believed she suffered serious head injuries. Det. Chief Insp. Zoe Russo, from Lancashire’s Force Major Investigation Team, said: “Firstly, my thoughts are with Leanne’s family and friends at this incredibly sad and difficult time. They are being supported by specially trained officers. “We are still in the early stages of our investigation and are on with a number of lines of enquiry. “We appreciate people's concerns however we believe this was a targeted attack and we have a team of officers working on tracing who was responsible for Leanne’s death. Anybody with information is urged to call 101 quoting incident reference 1155 of January 14th. Alternatively, you can contact independent charity Crimestoppers on 0800 555111 or online at http://socsi.in/L18FS.